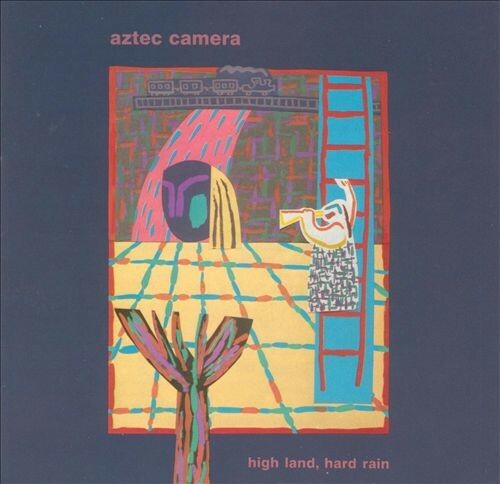 Last month Domino Records released a deluxe version of High Land, Hard Rain, the 1983 debut album by the Scottish pop band Aztec Camera. The release added a second disc of B-sides, live tracks, a BBC Radio session, and some utterly lame remixes from the time of the record's origin. I can't deny that the album triggers a sense of nostalgia in me—I bought the record when it first came out and listened to it religiously, and I saw the band in '83 when they toured the U.S. as a support act for Elvis Costello. Back then I held the music in high esteem for its sophistication and elegance (jazzy guitar tone, quasi-bossa-nova feel) qualities that have diminished for me over time. The band's singer and songwriter Roddy Frame possessed a rare talent and smarts for an 18-year-old; most of the melodies are downright gorgeous—they've stood the test of time—and he adeptly captured the sense of ennui and romantic drama that swells in postadolescence. In the ultracatchy single "Oblivious" the sense of loyalty reaches its apotheosis when he sings, "I see you crying and I want to kill your friends," and later, embracing a collective sense of isolation, he adds, "They'll call us lonely when we're really just alone." What hurts the album is the new wave-style production, especially the electronic drums on many of the tracks—played by Dave Ruffy, a former member of London punks the Ruts—and the fake-flamenco sound Frame occasionally deploys on his guitar solos, which couldn't sound more trite today. The fake-soul backing vocals on "Back on Board" miss the mark badly, as well. But despite all of that the album still hits the spot for me. For today's 12 O'Clock Track I'm sharing "The Boy Wonders," which you can hear after the jump.